Did Killing Bin Laden "Heal America's Heart"? VJ Prashad: VP Joe Biden is met with rapturous applause at the DNC when he says "Bin Laden is dead and GM is alive"
On Thursday night, Vice President Biden spoke to the Democratic Party convention. His message was: binÂ Laden is dead, GM is alive. And the crowd cheered. Here’s a little segment of what he said. JOE BIDEN, U.S. VICE PRESIDENT: Because of the calls he made, because of the determination of American workers and the unparalleled bravery of our special forces, we can now proudly say what you’ve heard me say the last six months: Osama binÂ Laden is dead and General Motors is alive. GovernorÂ Romney didn’t see things that way. When he was asked about binÂ Laden in 2007, here’s what he said. He said: it’s not worth moving heaven and earth and spending billions of dollars just to catch one person. But he was wrong. He was wrong, because if you understood that America’s heart had to be healed, you would have done exactly what the president did, and you would move heaven and earth to hunt him down and to bring him to justice. 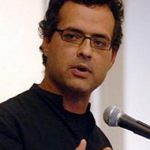 JAY: Now joining us to talk about this and other issues is Vijay Prashad. He’s a professor of international studies at Trinity College. He’s the author of the book The Darker Nations: A People’s History of the Third World, and more recently, Arab Spring, Libyan Winter. Thanks very much for joining us again, Vijay. VIJAY PRASHAD, PROF. INTERNATIONAL STUDIES, TRINITY COLLEGE: It’s my pleasure. Thank you. JAY: So, first of all, what do you make of Bidenâ€”and then, I guess, PresidentÂ Obama said more or less the same thingâ€”talking about the great victory of the killing of binÂ Laden? But I was particularly struck with this healing of America’s heart through killing binÂ Laden, the bloodlust of that. 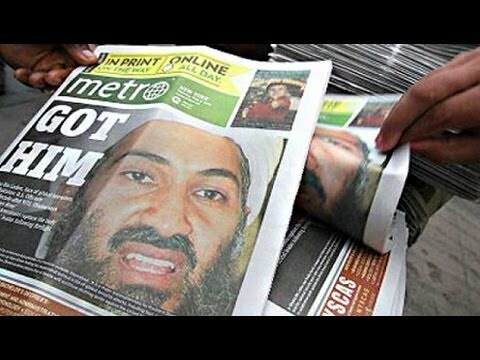 PRASHAD: Well, I have to be very careful every time I speak about the killing of Mr.Â binÂ Laden. The last time Iâ€”or, rather, the first time I spoke about it, I had Bill O’Reilly and his team sitting on my front yard. So I’m very cautious now. But, of course, I am going to say the same thing, which is that I think that there is a real error in how people have understood, you know, what they should do when confronted with terrorism. I think there’s a real sense that it’s acceptable to go and kill people around the world, you know, in contravention to international standards. So there is a kind of making normal, you know, when Mr.Â Biden says something like that, especially in the sort of humorist quote that he has, where people then applaud joyously, rapturously. I think it’s very dangerous. It undermines the legitimacy of international law, of a serious look at assassination. You know, these questions are set aside. Of course, it also, in the very glib manner in which he phrases the statement, you know, binÂ Laden is dead, GM is alive, that very glib statement quickly overshadows the reality that GM might be alive. But what is referenced by that, which is to say, the robustness of the American economy, that’s not so clear, because very soon after Mr.Â Biden spoke, a new jobs report came out, and it demonstrates once more that even if there are some jobs being addedâ€”and, by the way, the growth has been anemicâ€”even when some jobs have been added, these are not of the sort of GM-classed union jobs. These are service sector jobs where workers are extremely vulnerable, where many of them have very few protections and almost no pension. So there is, you know, both something, I think, very dangerous about the first part of the slogan which is "binÂ Laden is dead" that is said in a celebratory way without considering the questions of assassination, and secondlyâ€”but, of course, Detroit or GM is alive, when this is a very, I think, mischievous way of mischaracterizing or characterizing the economy. So in both ways that slogan has, I think, a very deleterious role to play as far as public discussion is concerned. JAY: And just to add to the GM story, the fact that the revival of GM, GM’s alive, is because to some extent the workers took such a hit on the health care plan, and new workers are going to be paid half what workers were paid previously. It’s something like starting workers at $14 an hour and even less, which is part of a whole spiral downwards of the American economy for lack of demand because wages are going down. PRASHAD: Precisely, and wages have been going down since 1973. And, you know, rather than actually confront the question of the economy head on, tell some real truths about it, you know, instead of that, what we get is this kind of what I think is a rather, you know, simpleminded celebration. And by the way, the second quote that you played just now, where Mr.Â Biden talks about healing, that’s a very interesting statement, and it tells you a little bit about the difference between the Republicans and the Democrats. Had the Republicans or a Republican president been in charge when binÂ Laden was killed, we would have heard a much more muscular sort of celebration. They would’ve talked about revenge, they would have talked about, you know, the necessity of stamping out terrorism, etc., whereas the Democrats being liberals don’t really go for the language of revenge as much as they go for the language of healing. So both are committed to, in a sense, international assassination, killings, etc., war, both are committed to these policies, but they interpret them very differently. Republicans like the sort of masculinist bloodlust, and Democrats, slightly more feminized in their approach to warmaking, talk about this as healing. JAY: Although it’s very interesting in the conventions: the Republicans barely mentioned war, and the Democrats couldn’t stop the fervor. PRASHAD: I mean, some of this, you know, is about the way in which the polls function. I think there’s a great cynicism in politics, that the Republicans, as far as I’m, you know, told, came into their convention saying, we have to close the so-called gender gap, you know, and so they had to, as it were, soften up their language. There’s a great cynicism, I mean, in the way they conduct these things. They don’t seem to me any longer to be actually places where there’s great political debate, where there’s rousing political, you know, discussions. After all, at the Republican convention, the authentic voice of the Ron Paul movement was utterly stamped out, and at the Democratic convention, despite the howls of protest from the floor, the Democratic managers of the convention hastily changed their program to add in that the Democrats are also committed to moving the U.S. embassy from TelÂ Aviv to Jerusalem. And they also added in language about God. So in that sense there’s a huge cynical attitude towards political conventions. It’s so scripted it’s become essentially about what they anticipate the independent voter wants to hear. JAY: Now, explain something to me, ’cause I understand why the Republicans didn’t invite former president Bush’ I understand why they didn’t want to mention his name during the Republican convention. But why isn’t PresidentÂ Obama raising the specter of the eight years of the Bush administration giving rise to the crisis and all the rest? I mean, I don’t think it wasâ€”it was barely mentioned. Why isn’t Obama raising this whole shadow of George Bush and trying to put thisâ€”and it wouldn’t be hard, a stretch to doâ€”over Romney and Ryan? PRASHAD: Well, in 2009, Mr.Â Bushâ€”sorry. TwoÂ thousandÂ nine, Mr.Â Obama said something that greatly distressed me. He said we don’t want to revive conversations about the Bush years, and the phrase he used was: because we don’t want to lay blame on the past. And this was in the context in which Mr.Â Obama and his administration decided to not bring up charges against the Bush administration for their many crimes and misdemeanors regarding warmaking, particularly around Iraq, and, of course, torture. Very shortly thereafter, the Obama Justice Department decided not to prosecute CIA officials who had participated in torture of detainees. So Mr.Â Obama’s attitude of not wanting to lay blame on the past perhaps allowed him to have a sort of amnesia attitude toward the eight years of the Bush administration and rather harken back to the Clinton Administration, as if he is running on Mr.Â Clinton’s record rather than on his own salvaged record after the Bush administration. There’s a very interesting kind of revisionist history happening here, but it’s actually been part and parcel of the Obama administration’s attitude towards the Bush administration and its problems. JAY: Right. Okay. Now, speaking of Iraq, you wrote a piece recently about the CIA and Iraq. What did you find? PRASHAD: Well, it’s very interesting, because as I said, Mr.Â Obama decided not to prosecute or even begin an inquiry around so-calledâ€”you know, allegations of war crimes, or what is known as a war of aggression. You know, when a country goes to war against another country for no good reason, where there’s no cause of war, that is called a aggressive war or a war of aggression. And these have been prosecuted somewhat, but not very, you know, effectively. Nonetheless, Mr.Â Obama decided not even to hold an investigation. The British, on the other hand, put together the Chilcot inquiry. SirÂ John Chilcot was the chair of that inquiry. They’ve just finished their deliberations, and they’ve decided to put off releasing their report. Now, what’s significant here is, while Chilcot was finishing its deliberations, the National Security Archive in Washington, D.C., was able to get from the CIA an important self-assessment done by the Office of Iraq Analysis. This was done in 2006. And this report demonstrates at least two things. The first thing it demonstrates is that the CIA, on reflection, has decided that it utterly missed characterizing the Saddam Hussein regime. In other words, they thought since Saddam was a deceiver, his deceptions were taken for guilt for the presence of weapons of mass destructions. They did not see that his deceptions might have been a technique to uphold Saddam’s greatest principle, which is the right of states to be sovereign. So that’s the first thing they revealedâ€”in other words, that they were wrong in the way, in the method in which they saw the Hussein regime. Secondly, they come to admit that since 1995, the Iraqis, they say, were probably, in their language, accurate about their statements about no weapons of mass destruction. In other words, from 1995 to 2003, it was the Iraqis who were being, in a sense, honest despite the history of deception about the fact that there were no weapons of mass destruction. This is an extremely important document. It demonstrates that the CIA, in a sense, believed its own lies. And it also should revive questions about, you know, the straightforward fabrication that took the United States to war against Iraq, you know, for which between maybe 200,000 and 1Â million people have died as a consequence of that war. It’s a very important issue. It has not been taken up. There has been no questions of accountability. Mr.Â Tony Blair in his memoir wrote something I think quite chilling. He said that rather than have inquiries, this should be a matter of the quiet reflection of the soul. I mean, if that is the new international standard, in other words, if war crimes are to be deliberated by the quiet reflection of the soul, we should shut down the International Criminal Court. Mr.Â Bashar al-Assad in Damascus can rest comfortably thinking that, you know, once his regime falls, all that’s going to happen to him is he will go into a kind of permanent meditation kind of sequence, where he can meditate on his own problems with his soul. I mean, this is a very peculiar response from Mr.Â Blair from the United States government. Now, what it has actually said, what is actually being said behind all this, is that there are two standards. There’s one standard for Africans, for Eastern Europeans, for Arabs, for, you know, Asians, for Latin Americans. They will be prosecuted for wars of aggression, war crimes, etc. And there’s another standard for Europeans and for the United States, who didn’t want to be prosecuted. JAY: Well, that’s clearly what PresidentÂ Obama believes. PRASHAD: Absolutely what PresidentÂ Obama believes. And the fact that we are not actually coming to terms with the legacy of the Bush administration is a consequence of this kind of belief that Mr.Â Bush, even if he and his administration are responsible for up to 1Â million deaths in Iraq, even if that were the case, there is going to be no reflection on it and no accountability. And I think it’s when you have a situation of complete, of utter impunity, where people can act without consequencesâ€”if you have that kind of situation, the worst sort of animal spirits are provoked. JAY: Well, we should all rest easy, because binÂ Laden is dead and America’s heart apparently is healed. Thanks for joining us, Vijay.